Weigh In: I lost 2.4 pounds for a total lost of 41.6 pounds. Nutrition: I did well this week and keep to my calorie range. I ate lots of salads, fruits, and healthy lean meats. I also started taking Garcinia Cambogia before breakfast and dinner. As recommend by Dr. Oz Garcinia Cambogia is an all natural ingredient that comes from a fruit and is said to be a fat buster. If works without having to diet or exercise. Of course I used this as an extra boost while I still ate right and exercised. While taking it I didn't feel any side affects and felt a little fuller than normal after my meals. I took the Garcinia Cambogia from Life & Food. 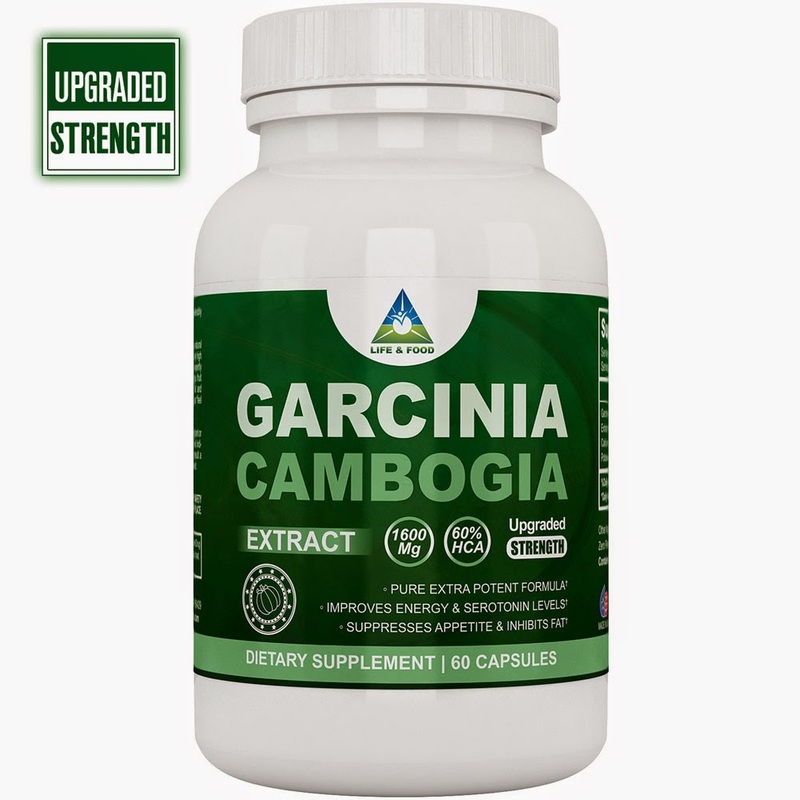 Their Garcinia Cambogia is one of the best because it has an upgraded strength of 800mg instead of the normal 500mg and free of contaminants, fillers, binders, or toxins. You can find out more about their Garcinia Cambogia and other products on their website. You can also order it on http://www.amazon.com/Potassium-Clinically-Suppressent-Artificial-Ingredients/dp/B00BBSPMIU/. 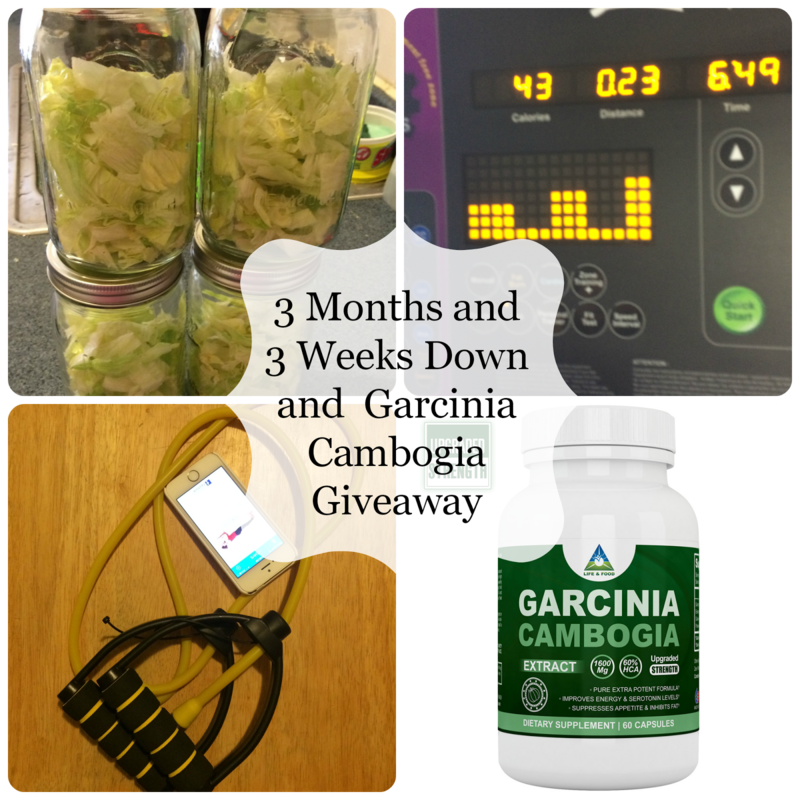 Scroll below to enter to win your own bottle of the Life and Food Garcinia Cambogia! I went to the gym three times this week and did two good walks. Instead of taping my little interval hill workout onto the treadmill I used the treadmill's hill feature which was cool because I didn't have to look at my little list to manually change the incline. I got to just listen to my music and let the machine do the work. I also did my resistance band and ab floor workout three times. I started the 30 day plank challenge on Thursday and am doing better than expected on it. I did try the couch to 5k on Tuesday but was definitely not ready as my feet almost cramped up. I will try again after I lose another 20 pounds. I will check into this fat buster.. I need to get back into the gym.. i am losing interest..
Good luck to all! Thank you for the information. Tour Doing Awesome As Usual Thanks ForThe Great Giveaway! I need this for my belly as I tend to store fat there. I like that this is an appetite suppressant. That's the only weakness I have with weight loss programs! I've got to look into this! I tried the green coffee bean stuff, and it hasn't done anything for me. Not even given me more energy. Thanks for this post! You have great goals for yourself! I need to set goals for myself too! Cambogia is such a great supplement when on a weight loss plan! Thanks.I entered.I would like to try this. I don't like the stuff that has a lot of fillers and etc in it. This sounds like a great product. If without exercise, would you think all the dieting plus products will work? I am not sure if it will work without exercise. I have heard people say it does. I usually don't try dietary supplements. But I wouldn't mind trying this one because it sounds like it really does work. I don't use dietary supplements, but thank you for the information. I thought about this, I love reading about your journey. I don't use dietary supplements, and you have lost so much weight without it! All the credit goes to your determination. I love how you met your goals and ready for more. You go girl! Goodluck and we are all rooting for you. Congratulations for achieving your weight goals! woow, i am trying to shed 5kg for years now and never been successful. could this be the answer? Good luck to all who will join the GiveAway and it is so nice to see you keep in track of your goal. I like how there is no sugar or GMO's, sounds great! I have been following along for a while now and I just wanted to say GREAT JOB staying on task and keep with it! Nice, I will recommend this to my cousin. He will surely love it. He's gaining weight this days, and exercise is not enough. Congrats on your success. I haven't tried this brand of Garcinia, but will check it out. This motivated me! I need to get back into exercising! Is this an international giveaway? I would love to join because I'm also taking Garcinia from another brand. I forgot the brand because I just buy retail, like 5 to 10 pieces a week. Hope I can join the giveaway! You're doing a great work! Congratulations! And the Garcinia looks really interesting! Is this a worldwide giveaway? love to join, hopefully it's open to all. I so need to try these. Thank you for sharing this. 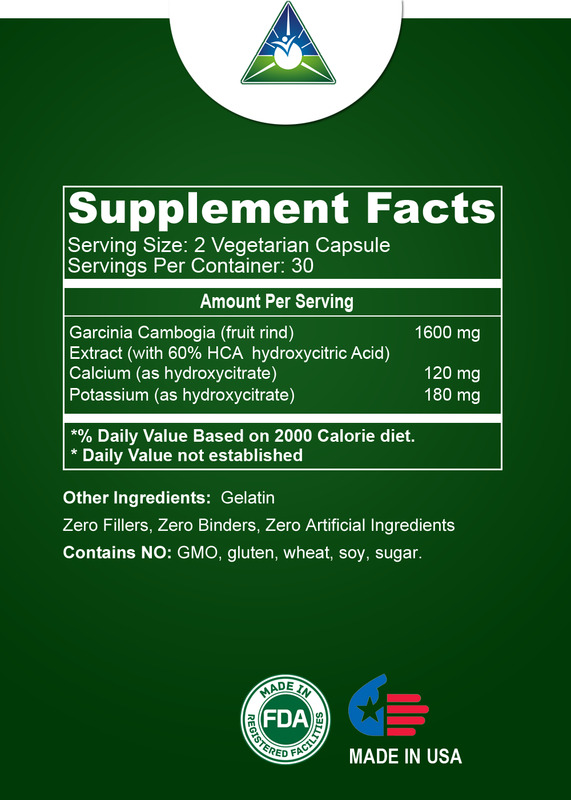 I'm sure we don't have that here, but if it's a vegetarian capsule I think it's good. I read this article that said veggies are more ok compared to fruits if you're on a weight loss journey.